When designing for families, we are often asked how we can separate kids’ and parents’ activities while enabling supervision and communication and enhancing family time. For these clients, a family with young children, we proposed a “House Within a House”; two houses with very different characters. The outer “House” is the kids’ zone. It is robust, informal and vibrant. Connected to the inner "House" and the outside world via balcony vistas and sliding partitions, it can be re-shaped to accommodate the whole gamut of young family activities, from homework time to cricket matches. 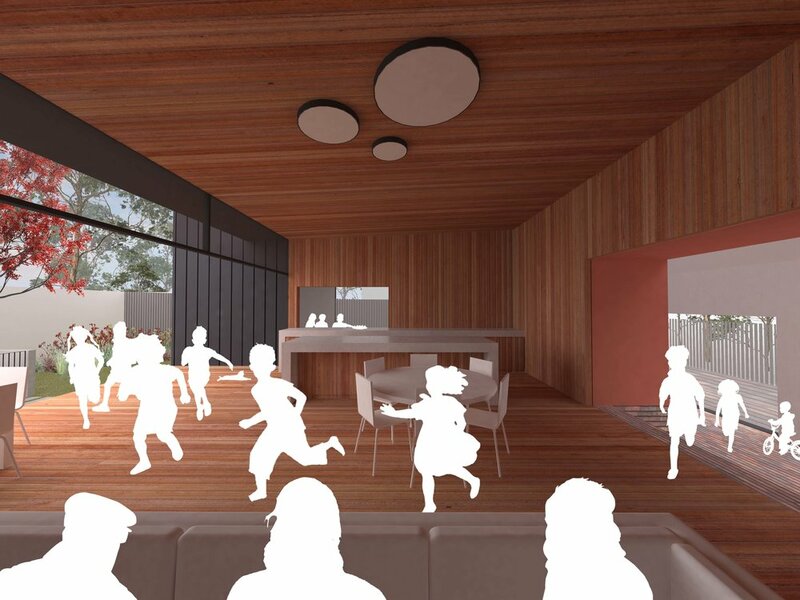 The design enables the laneway to become an extension of the kids' zone, whilst maintaining security and privacy when required. Laneways and other public spaces are safer and more enjoyable when activated and containing signs of life. In contrast to the outer “House”, the inner adults' zone is delicate and refined; a tranquil retreat, but only when it needs to be. It can transform into an extension of the outdoor space; a breezeway between the backyard and the public realm.